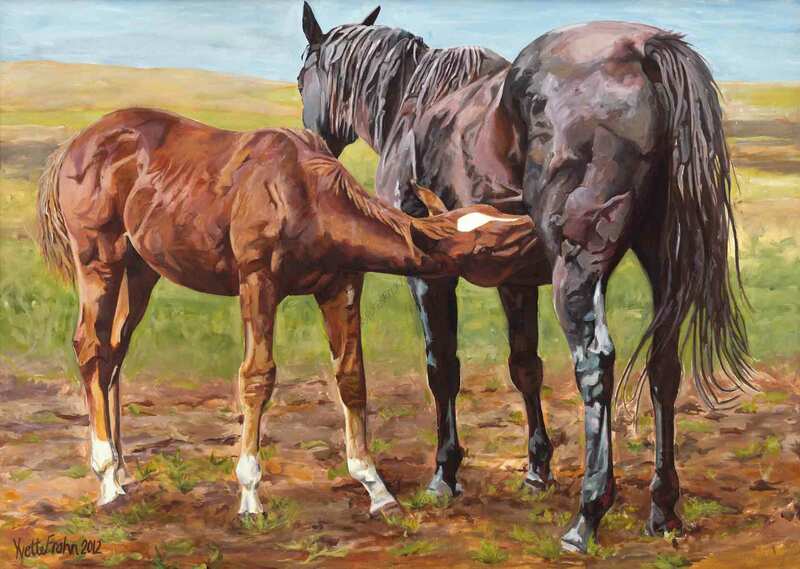 Welcome to the Spirit of Equine, the online home for my equine art. 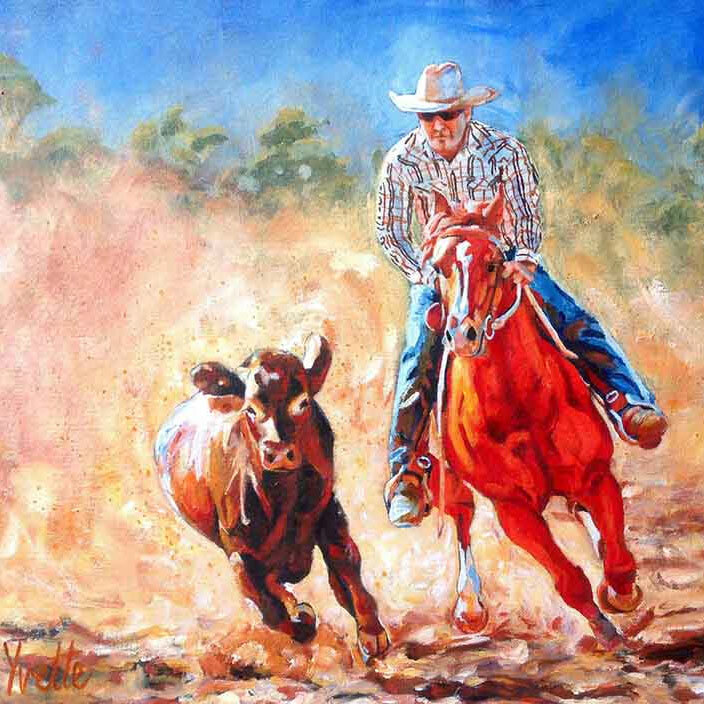 This site is dedicated to “horse people” who appreciate art, make art, and love horses. I drew my first horse at age 4 and since then, equine art has become my lifelong passion. 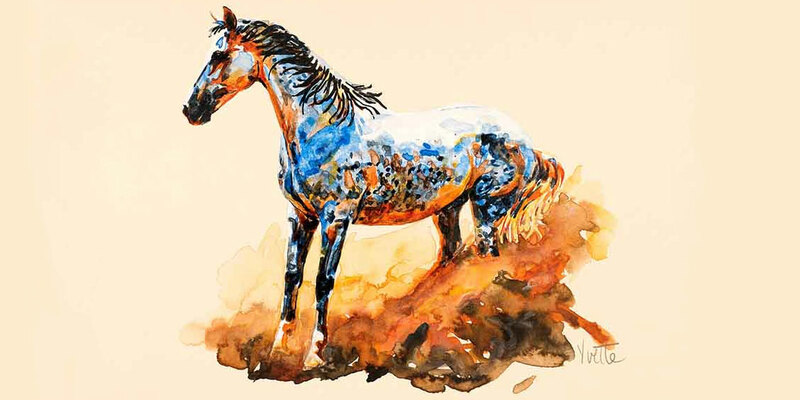 My name is Yvette Frahn, I specialise in equestrian art concentrating on fine art works but I also offer prints and colouring in books on artist-quality stock, to help equine art can reach a wider market. It is my vision to create very personal and emotive works of art for each individual. The spirit. I am based at Bugle Hut in my beautifully restored stone ‘Tractor Shed’ art studio on the family farm in the Riverland, South Australia. I aim to connect the owner of each work very intimately to their subject matter. These images are intensely vibrant and exude life. My work is timeless but it captures a special time in the life of each subject and client. Teaching equine art allows me to educate and inspire others to pursue their love of horse art. My workshops are designed to forge great friendships while helping you get your mind in the right space for optimal learning as an artist. Apart from selling equine art prints, I have produced beautiful, A3 size colouring in books, on artist-quality stock that has been chosen so your finished work can fit straight into off-the-shelf frames, and hang upon your walls. If you’re interested in learning art, you find a good art teacher. 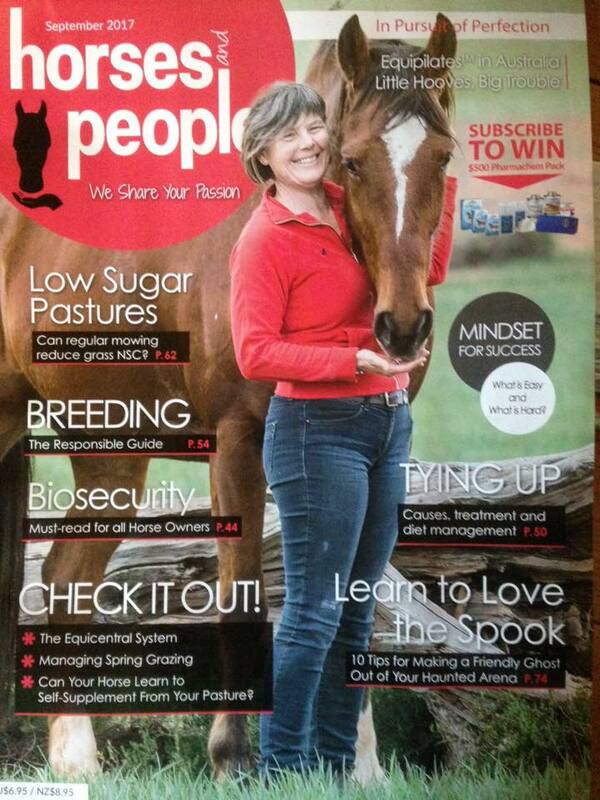 But when you want to experience equine art, you really need an equine artist who lives and breathes horses. 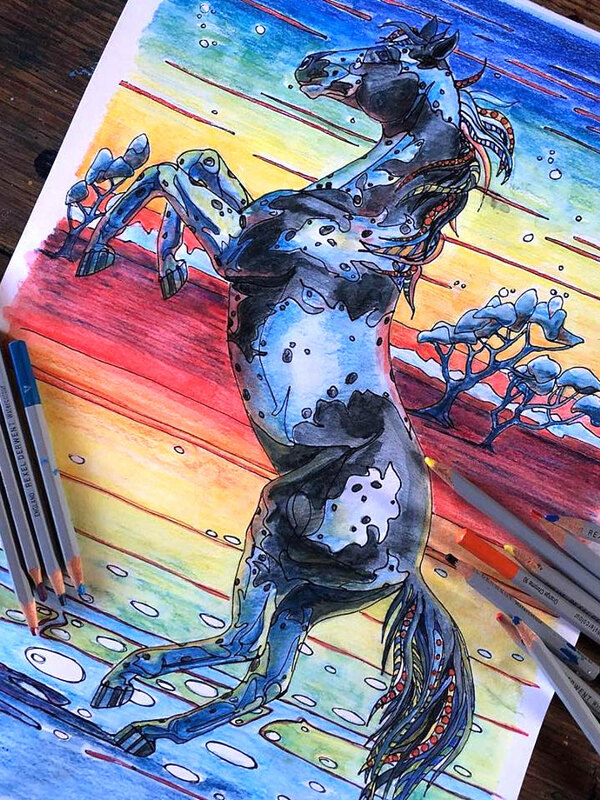 Aside from the horse drawings selected by a team of equine art lovers, the first thing you should do with one of my colouring in books is feel the weight of the paper. It’s thick. It’s 210gsm art paper, the same as I use when creating the designs. You have an incredible gift. To be able to capture the Magic that is a horse is something that not many artists are able to do. I love all your pieces. 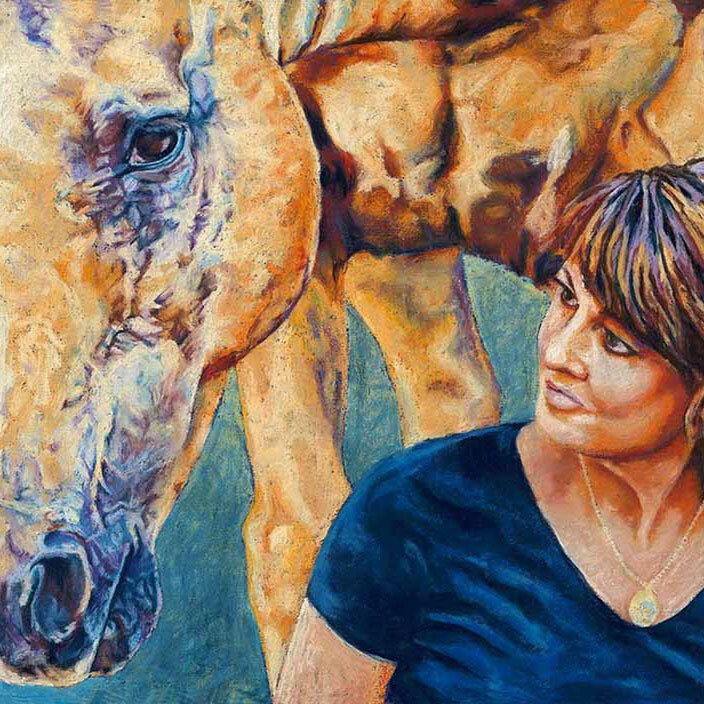 Using brilliant colours, romantic style, and impeccable attention to detail ... Yvette will inspire and intrigue you to understand more about the anatomy of the horse. 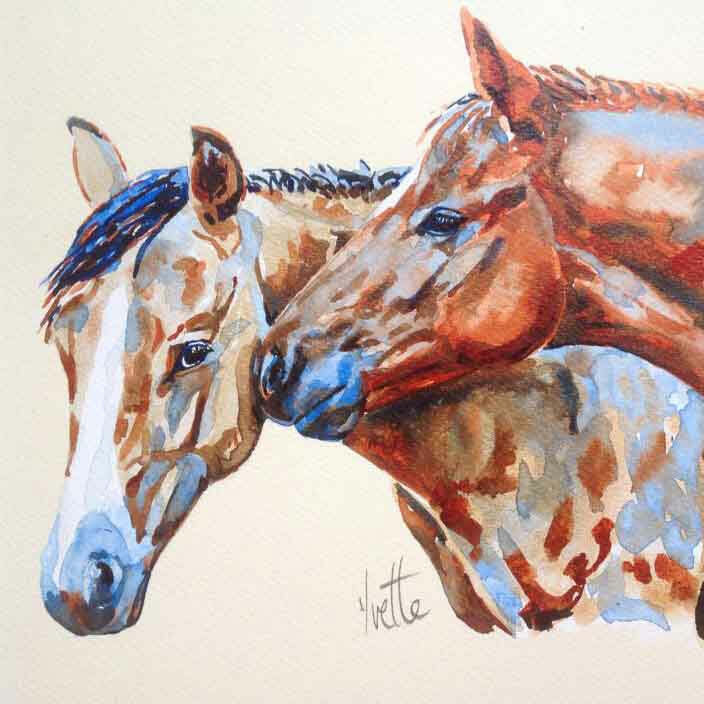 Yvette’s mantra as an artist is ‘Know Your Subject’, to achieve this she has studied equine anatomy and ... her straightforward demonstrations, along with an uncanny ability to communicate complex ideas ... makes her an effective teacher. We are getting down to the pointy end of the planning for this amazing trip so here’s a bit of an outline of the last 6 months (up til about 2 months ago) So much has been going on this year and its been pretty exciting for me! Here’s my interview on The Adelaide Show Podcast from early 2017. 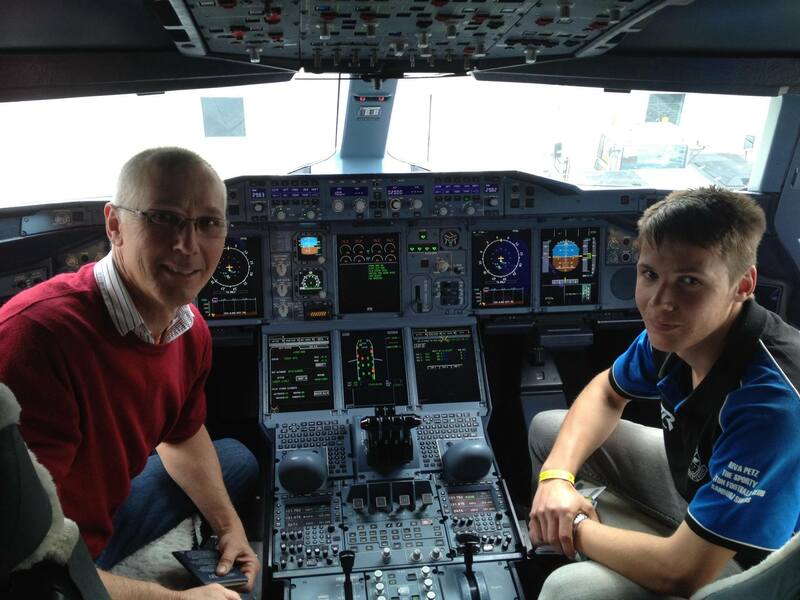 The player, below, will start just a few seconds before my chat. I get to discuss my approach to teaching art while I actually teach Steve Davis and Nigel Dobson-Keeffe how to paint a sunrise.